This small apartment complex is situated in a harbor in Kralendijk and designed by a well known Dutch architect. It has a swimming pool with sun terrace and a dive centre on the premises. 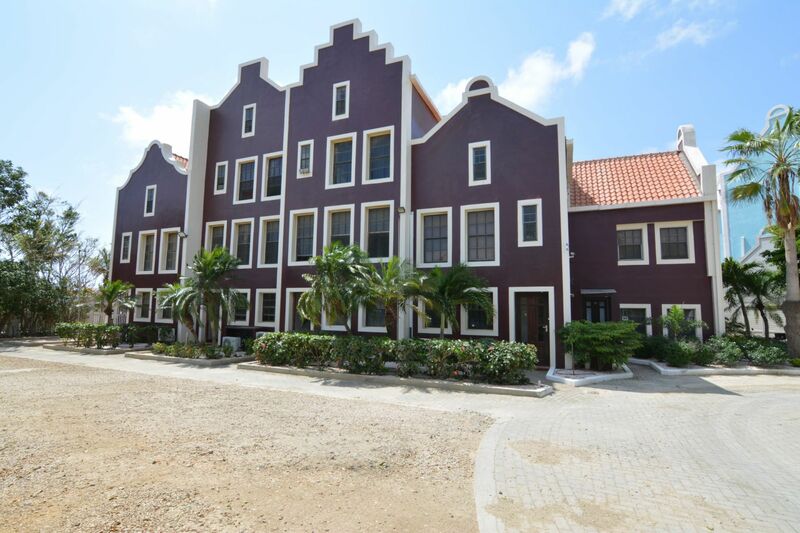 It is located only a few minutes from the city centre of Kralendijk and on walking distance to the beach and the ocean. The apartment has a spacious living room with open kitchen. This area has sliding doors to the terrace. There is 1 bedroom and 1 bathroom. The bedroom has air-conditioning and 2 small fitted wardrobes.